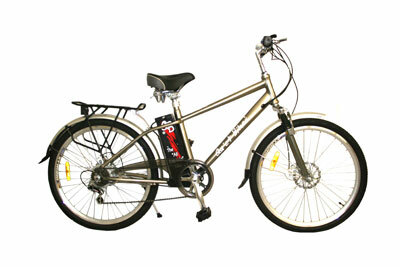 Buying a pre-made electric bike is the easiest and fastest way to start enjoying the power of a motorized bicycle. You will appreciate how amazingly convenient and valuable these bikes are – and you’ll thank yourself for saving money, getting more exercise, sunlight, staying healthy and helping the environment! Simply put, this bike is amazing – which is why it gets our #1 spot! Not only does it have an excellent build quality, but it looks nice too! The battery lasts a lot longer than your average e-bike, getting 45+ miles on a single charge. Combined with the top speed of 20+ MPH, this bike could easily replace your car for trips around town and is a high-quality, reliable method of transportation. The price tag may seem a little steep for those new to electric bicycles, but it’s easily worth it. The folding frame makes it fit snugly against the wall in smaller apartments, so you don’t need a garage in order to store it in a secure location. The shock absorption and bigger tires are good too, making it easier to go off-road when needed. And to top it all off, Prodeco has a track record of being a reliable company that responds quickly to it’s customers. This bike is powerful! It can get up to 30+ MPH while pedaling, and it can go uphill unassisted, maintaining 20+ MPH. The battery capacity is around 20 miles per charge, and Prodeco has no problems replacing it if it goes bad. The bike is nimble and handles nicely, making for a very fast and efficient ride. It has 7 gears, but you’ll spend most of your time in the highest gear because it accelerates so quickly. The frame is sturdy and holds large tires for riding off-road. This bike performs the best and is the sturdiest, earning our #2 spot. If you’re looking for performance and handling with your investment, this is the bike for you. This unisex bike is the best choice for those who are looking to save money, and are looking for a good alternative to driving around town. Being a cargo bike, it is useful for going to the store; it comes with a front basket and rear cargo rack, giving you plenty of carrying capacity. The price, quality and utility of this bike is what earned it our #3 spot. Watseka has a good reputation for customer service, which is reflected in their reviews on Amazon. This is probably the best women’s bike for those on a budget. It’s not quite as fast as advertised, but it still goes 10-15 MPH unassisted. 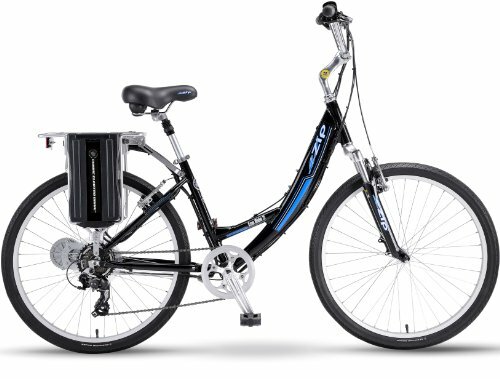 The battery is fine, getting 10-15 miles on a single charge with no pedaling, but we recommend getting a second one since the model has been discontinued – but with the discounted price you can’t go wrong. Simply twisting the throttle brings you uphill, but if it’s a steep incline you may have to pedal a little. If you’re looking for a good recreational e-bike to get around town, this one is a fine choice. It’s super fun to ride and very affordable. This might just be the most popular e-bike on Amazon. It’s integrated LCD display shows your current speed, current battery charge and more. It comes with a hidden removable battery that has multiple charging options, and charges while you pedal. It also has good shock absorption, lights, blinkers, mirrors and more. Unfortunately the battery life isn’t what Jetson claims; it averages around 11-15 miles on a full charge (not the 20 that is advertised.) This is still a good bike for going short distances, but the pedals are difficult to use compared to the other bikes, compounding the battery issue even more. Although we have a great selection of motorized bicycles for sale and we recommend getting an e-bike, we also have motorized bicycle kits for sale for those that are more budget-conscious, as well as bicycle accessories for sale to make your ride even sweeter! Just like our bikes, our other listings are all highly reviewed. Knowing the best ways to keep your bicycle from being stolen is important; it’s even more important when you invest in a motorized one. If you’re buying an e-bike, we recommend that you read our 5 tips on how to securely lock your bike.